StimulantsFitMax Don't Stop - 60 kaps. 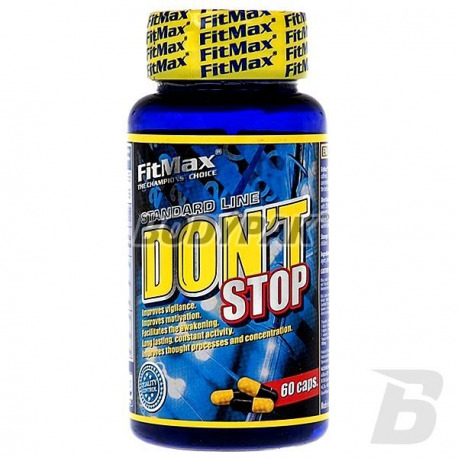 FitMax Don't Stop - 60 kaps. High-quality, multi-center energizing, which includes caffeine, taurine and L-tyrosine. Bet on the tested substances! 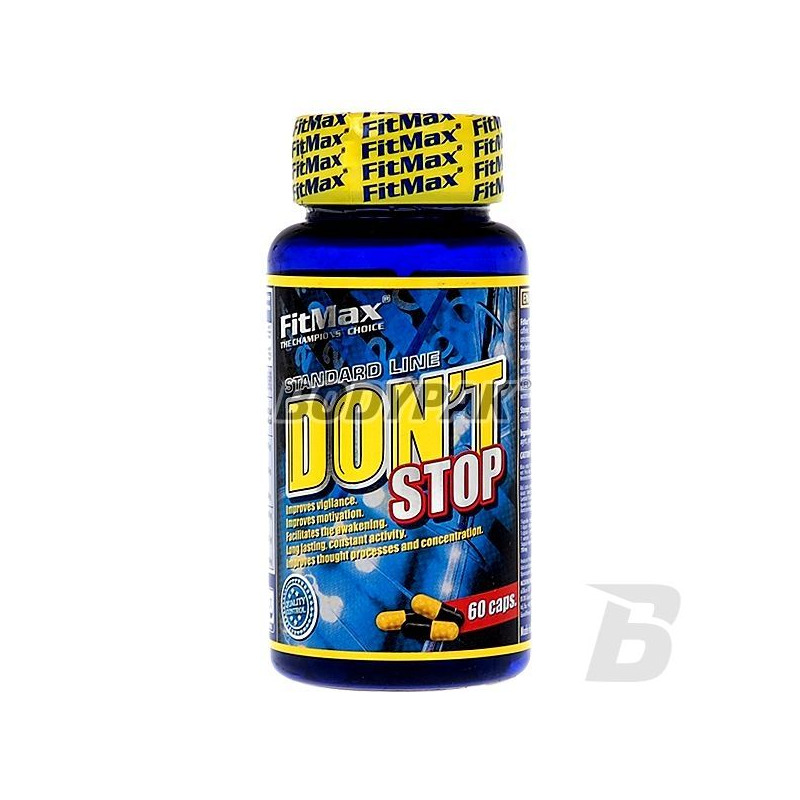 FitMax Don't Stop is a multi-center energizing, which includes caffeine, taurine and L-tyrosine. Caffeine helps to increase alertness and improves concentration. It also helps to increase physical fitness and stamina during a workout. Składniki: tauryna, l-tyrozyna, kofeina, stearynian magnezu - substancja przeciwzbrylająca, żelatyna - składnik otoczki. Caffeine is a substance with multidirectional action. It stimulates the central nervous system and the autonomic centers: the respiratory system, circulatory system and the vagus nerve.